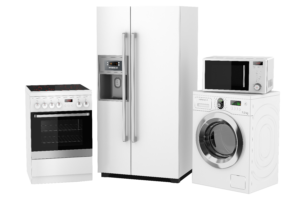 If you need an appliance repaired, you are in the right place. We have the knowledge and skill to get the job done right and we are fully licensed and insured for your peace of mind. The appliances in your homes keep your life running smoothly and efficiently. You rely on them and they usually do the work they are supposed to do for you, but they are only machines and machines break down. When they do, we are here to help you so that you can get back to the important things in life. Appliances break down in any number of ways. A dishwasher might leak water. A dryer might stop spinning. A washer might stop agitating. An oven might not heat properly. We have the skills and know how to diagnose and fix your appliance issues. And in the current economy, every dollar counts. No one wants to replace an appliance that with a minor repair will last for many more years when most appliance repairs cost only a fraction of the cost of a new machine. We have been servicing major appliances in the areas of Brevard and Volusia Counties for over 14 years. Because we stock parts that are used to fix the more common repairs many times we can offer same day repair service. We warranty our parts for 1 year. We warranty our service for 60 days. When an appliance repair expert from Just Appliance Repairs LLC comes out to diagnose your machine you will know up front the cost that you can expect to fix it. You can also rely on our experts to provide quality, professional and affordable service. We offer expert service on Refrigerators, Freezers, Washers, Dryers, Dishwashers, Ranges and Wall Ovens.